What’s the best tenor ukulele? The answer depends on your budget, skill level, and personal preferences. Luckily, there’s no shortage of great tenor uke options available for you to choose from. Those shopping for the best beginner tenor ukulele will want to check out the entry-level models covered first. Seasoned players or those with slightly deeper pockets should consider some of the more high-end offerings from premium brands like Martin and Kamaka. I’ve owned or played ukes from all of the brands listed below, so my recommendations are based on personal experiences. If you just want to see my top picks, check out the table below. They’re all great beginner tenor ukes at a good price and it would be tough to go wrong with any of them. If you’re looking for more detailed information or are in the market for a mid-level or high-end uke, keep reading. The Lohanu LU-T tenor ukulele is the highest-rated tenor uke on Amazon. It’s part of a bundle that includes a gig bag (soft padded case), tuner, and strap–a pretty good deal, in my opinion. The craftsmanship on Lohanu ukuleles is surprisingly tight and clean considering their budget-friendly price. My LU-T has excellent playability and a warm, open tone. The LU-T has over 2,000 reviews, nearly all of them overwhelmingly positive. The company is based out of Canada and people rave about the customer service and support, which includes an unconditional lifetime warranty. Ukulele Tenor Size Bundle From Lohanu (LU-T) 2 Strap Pins Installed FREE Uke Strap Case Tuner Picks Hanger Aquila Strings Installed Free Video Lessons BEST UKULELE BUNDLE DEAL Purchase Today! BEST UKULELE BUNDLE DEAL! High Quality at Low Price! Tenor size is used by professional ukulele players. It has a bigger sound, and wider spaced frets than concert and soprano size which can be better for adults with large hands. UNCONDITIONAL LIFETIME WARRANTY for Ukulele & All Accessories!!! BEST Customer Service from a CANADIAN Company!! FREE Bonus Ukulele Video Lessons! AMAZING SOUND! Sounds so much better than a cheap ukulele, and very close to a high end ukulele! Features an Arched Back to give longer sustain & fuller sound! The Hricane UKS-3 is arguably the best tenor uke for budget-conscious shoppers. This model includes a few upgrades you don’t normally find with instruments in this price range, including a bound top, laser-etched rosette, and padded gig bag. Hricane Tenor Ukulele with with sapele body, rosewood fingerboard and four advanced Aquila nylon strings. Sapele body bring you richer and brighter sound; Rosewood fingerboard is hard and doesn't deform. It provides a comfortable playing feel. The Tenor Size Ukuleles with patented chrome-plated sealed machine tuners, tune fast and accurately, difficult to be out of tune, keep your ukulele always in tune. The tenor ukulele is another size larger than the concert ukulele. The frets are even more widely spaced, which makes it easier to playing melodies. It's a popular choice for intermediate or advanced players and adults. The Makala brand is Kala’s budget line of ukes. By making a few minor changes to hardware, materials, and cosmetic features, Kala can offer this line at a slightly lower price than their standard Kala series. Despite the more budget-friendly package, the Makala MK-T still offers great tone, quality, and playability. The Donner DUT-1 tenor uke offers a distinct look, with a unique D-shape bridge, rope rosette, and offset fingerboard extension. Of course, these cosmetic features wouldn’t matter if the DUT-1 wasn’t any good, but it gets high marks on tone, playability, and build quality. The DUT-1 is sold as a package that includes a gig bag, tuner, and strap. Mahogany body and neck bring you richer and brighter sound; Rosewood fingerboard and bridge provides a comfortable playing feel. The models I covered above are all great beginner tenor ukuleles and are safe bets for any first-time player. Of course, there are a lot of other good tenor uke options out there. Here are a few of my favorites. For folks who have a slightly higher budget, the KA-SMHT is the natural next step up. The KA-SMHT is Kala’s most affordable all-solid wood tenor ukulele. Why does solid wood matter? As a general rule, solid wood instruments have a warmer, richer, sweeter tone than similar models built with laminated wood. The trade-off is that solid wood ukes are substantially more expensive. A quality laminated uke can sound great, solid wood is worth considering for players seeking something a couple notches up the ladder. Cordoba’s 15TM has a few neat cosmetic features like a bound fingerboard and abalone rosette, making this ukulele a bit more stylish than other models in this price range. I’ve played a few 15TMs and they’ve been consistently well-made, comfortable to play, and great-sounding. Luna’s “Tattoo” series of ukuleles feature a unique laser-etched Polynesian tattoo design. The engraving might not be everybody’s cup of tea, but the Luna ukes I’ve sampled have been good, solid instruments. If you’re interested in something a little different, the Tattoo ukes are worth considering. The next logical step up is into the realm of all-solid wood ukuleles from top-tier builders like Martin and Kamaka. Ukes from these builders are many times more expensive than the beginner models listed above, but they offer superior craftsmanship, playability, and tone. If you’re looking for something a little nicer than the beginner model but don’t want to break the bank, check out Martin’s all-solid koa T1K tenor ukulele. Martin has been around since 1833 and has developed a legendary reputation for quality and craftsmanship. While they’re mostly known for building guitars, they also produce some of the finest ukuleles money can buy. It isn’t exactly cheap (the sticker price is over $500) but the T1K is still Martin’s most affordable tenor uke. It’s made in their Mexico plant and is an excellent mid-point between entry-level Asian imports and high-end American-made models. Even though it doesn’t have a lot of cosmetic bells and whistles, the T1K’s premium craftsmanship, playability, and tone make it one of the best tenor ukulele options on the market. If it’s within your budget and you’re serious about the ukulele, it’s well worth the investment. Click here to check out my full review of the Martin T1K. Many folks don’t realize that Kala has a high-end line of solid koa ukuleles that are made right here in the USA: The Kala Elite Series. 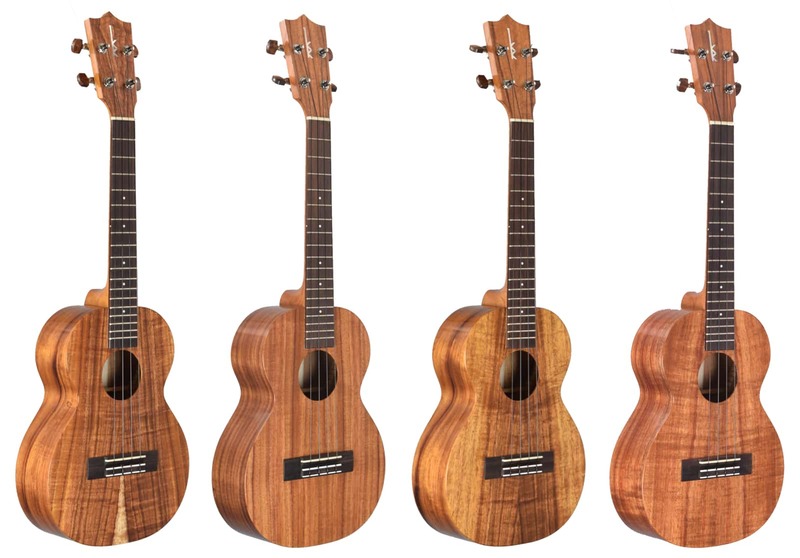 As far as I know, these are the only US-made tenor ukuleles available for under $1000. I’ve been lucky enough to play the 1KOA-T and the slightly fancier 2KOA-TG. Both ukes were beautifully crafted and had excellent playability. But more importantly, they sounded amazing, with a warm, harp-like tone that rivaled other high-end ukes I’ve ever played. While the Elite series doesn’t quite have the name brand recognition of Martin or Kamaka, they’re an incredible value and should be on the short list of anybody looking for an upgrade. Click here to check out all Kala Elite ukes for sale on Amazon. Kamaka is the oldest Hawaiian ukulele manufacturer around. In fact, they celebrated their 100th anniversary in 2016. The company’s rich history, classic designs, and top-notch craftsmanship have made their instruments the “holy grail” for many uke players around the world. The HF-3 is Kamaka’s standard tenor ukulele. It features a solid koa body and neck, high-quality tuners, and a beautiful glossy nitrocellulose finish. As you can see from the picture above, the grain of the koa used varies wildly and gives each instrument its own unique look. Kamaka also offers a couple more ornate tenor ukuleles like the HF-3 D (Deluxe) and HF-3 D2I (Deluxe 2 with slotted headstock). 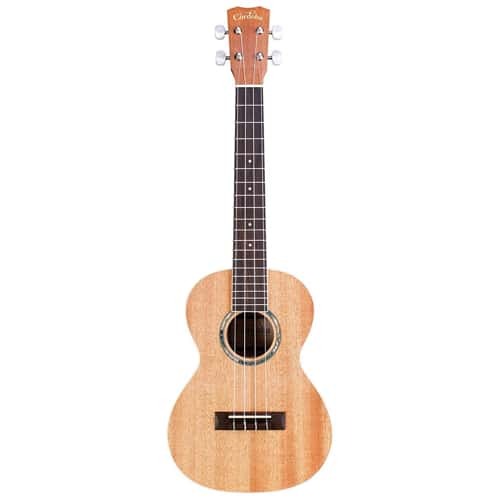 Unlike other ukulele brands that are available from Amazon and other large online retailers, Kamaka ukes are only sold through a small network of authorized dealers. 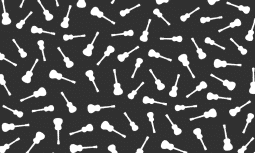 Confused about uke sizes? This guide explains the different ukulele sizes (soprano, concert, tenor, baritone) and discusses which sizes are best for beginners. 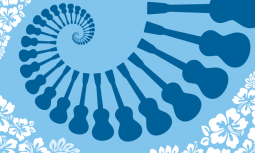 You've decided to buy a ukulele, now what? My ukulele buying guide will help you choose a ukulele that meets your needs and budget.